Feel like letting your inner hippy run wild? 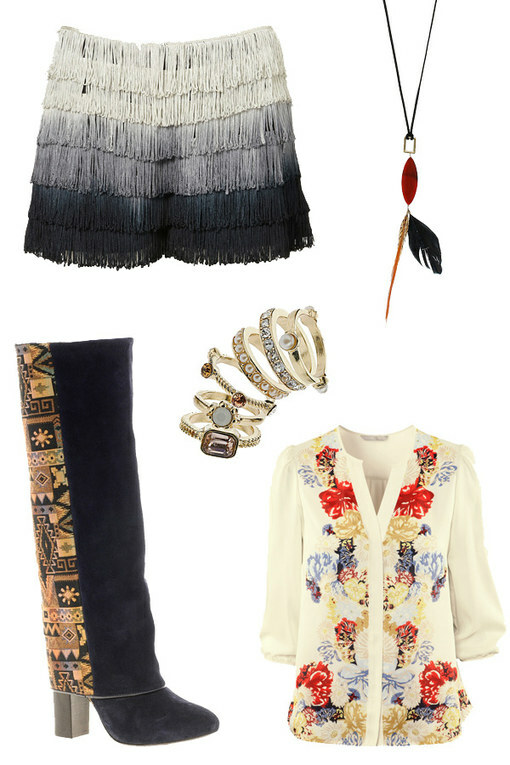 We’ve found you the perfect boho chic wardrobe for just that! Boho chic is nothing new, celeb ambassadors of the trend such as Rachel Zoe and Mary-Kate Olsen have been donning folky prints and maxi skirts since the dawn of time, but now the designers have got on board too and we say: woo hoo! Boho chic and folk fashion was all over the A/W catwalks, whether it was Issa’s hippy green prints, Mary Katrantzou’s boho inflenced knitted jumpers or Roberto Cavalli’s chilled out maxis, fashion land can't get enough of folk fashion.